So, one is a gentle giant, whereas the other happens to be a lovable rogue. DogAppy tells you what you can expect with a Great Dane-Boxer mix - his temperament, behavior, and of course, his size. Mixed breeds are often given a portmanteau name, signifying their status. Going by the rule, a Great Dane-Boxer mix is usually referred to as a 'Boxane'. 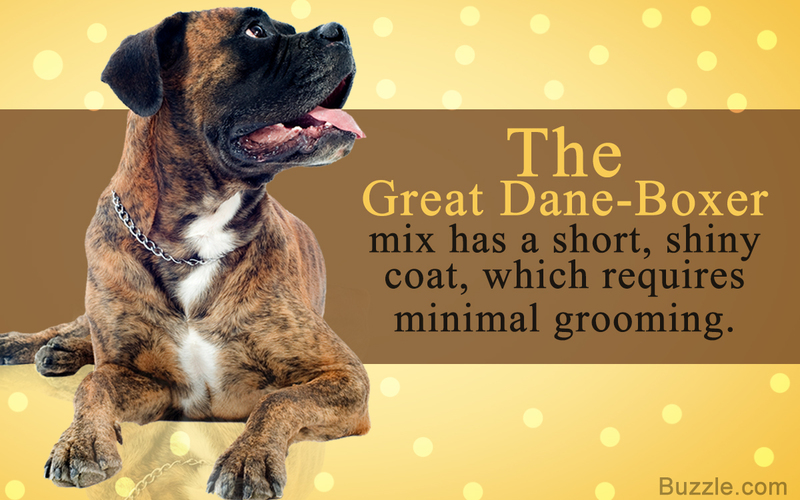 An imposing stature and a fearsome aura are features common to both the Great Dane as well as the Boxer. But that's only until one gets to know them better. Both these breeds happen to be extremely lovable, even-tempered, and yes, also a tad mischievous. Thus, it is safe to say that their offspring, the Boxane is a rather affable and loving dog, which is perfect for families. Being a mixed breed, it would be rather difficult to accurately predict this dog's temperament and health concerns. Also, each dog, irrespective of the breed he belongs to, will always have certain distinct quirks that make up his personality. Nevertheless, knowing about the parent breeds does give one a fair idea regarding what to expect with their offspring. Weight: 100 - 200 lb. ► 'Gentle giant' as he is widely known as, a Great Dane makes for a very affectionate and elegant pet. He is the biggest dog there is, and may even appear imposing to many, but his kind and gentle eyes have a different story to tell. ► By nature, the Great Dane is not aggressive, but owing to his sheer size, he does need obedience training―he is a dog after all, and will try to chase something he simply wants to chase. Since it is impossible to physically contain a Great Dane, it is imperative that he follows voice commands―this should explain the need for socializing and behavioral training. ► His size calls for special treatment, which includes a sufficiently large house for him to comfortably move around, special diets to avoid orthopedic problems, and moderate exercise on a daily basis. 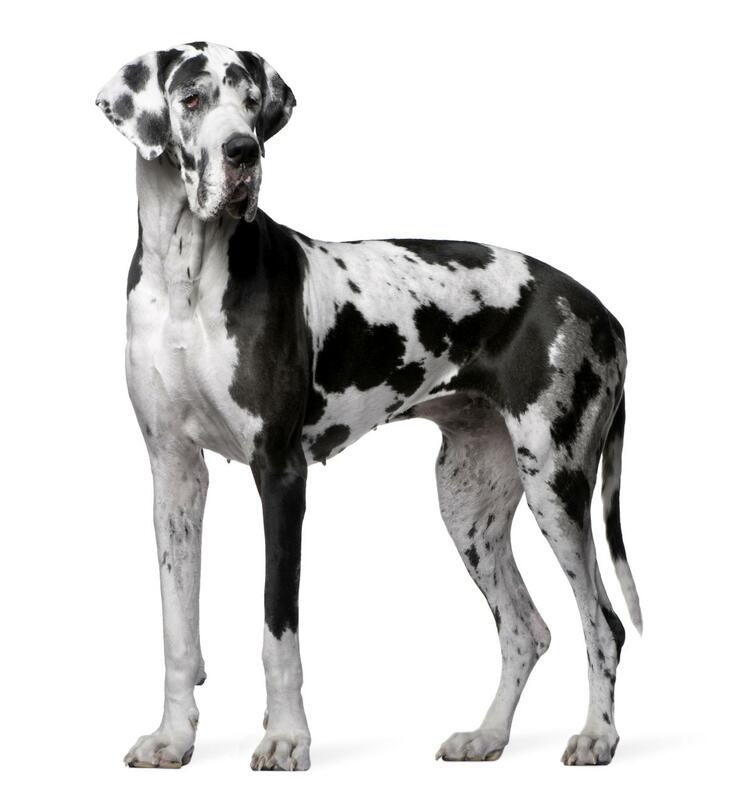 Unfortunately, like all big-sized dogs, the lifespan of the Great Dane is relatively short, averaging 8 years. Weight: 60 - 70 lb. ► A Boxer takes close to 3 years to be considered mature, making it one of the longest state of puppyhood among dogs. He is extremely goofy and lovable, and will entertain you with his antics. At the same time, his herding ability is a large part of who he is, making him fiercely protective of his loved ones. 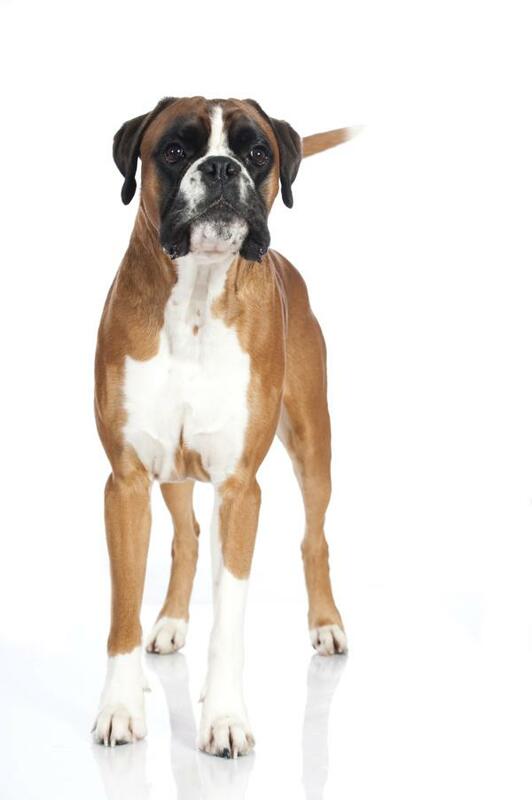 ► Large, square-jawed, and muscular, Boxers carry a reputation of being the lovable rogues among dogs. This dog is playful, with an endless reserve of energy, making him a suitable pet for those who like to be physically active. ► Behavioral training and socializing is a must with a Boxer. This ensures that your loving, playful, and well-mannered Boxer puppy grows up to retain these qualities. The breed is considered to be healthy overall, but be mindful that the short snout means that Boxers are not comfortable with extreme temperatures. ► The Boxane will be a loving and sociable dog with a very cheerful disposition. His energy levels will be high, and he may also inherit the mischievous attitude of the Boxer. Remember, both parent breeds tend to forge deep relationships with their family, so be careful not to isolate the Boxane for long hours. Despite his size, this dog can be kept in an apartment, as long as it is roomy enough for him to move around without knocking over things or banging into furniture. ► Big-sized dogs take time to mature, and need special care with regards to their diet and exercise during puppyhood. Ensure that you educate yourself about their needs beforehand, as this will ensure that the dog grows up to be free of any ailments, especially orthopedic ones. ► Socialization is extremely important, irrespective of the breed. The Boxane, though very lovable and playful, needs to be socialized with other pets and people, so that he doesn't grow up to be suspicious of everyone. Boxers, in particular, can be extremely protective of their family, and display their aggressive side at the slightest hint of a threat. Early socialization will help you raise an even-tempered and well-mannered dog. ► The Boxane has a short, shiny coat that calls for minimal grooming. Engage him in moderate exercise and walks on a daily basis. No matter which breed you pick, we always recommend that you adopt a pup, rather than buy one. But in case you do opt for the latter, please make sure that the breeder you pick is a responsible one. Puppy mills are a menace to our society, and we need to do our bit to ensure that this horrific enterprise ceases to exist.